LEGO® KidsFest is returning to Houston October 21-23! I am very excited to announce that LEGO® KidsFest is returning to Houston! My kids and I had the opportunity to go three years ago and we had an AMAZING time! There were truly activities for our entire family to enjoy! If you haven’t been before, the LEGO® KidsFest is a traveling LEGO® extravaganza featuring millions of LEGO® bricks and dozens of hands-on, educational, and fun building activities for all ages. 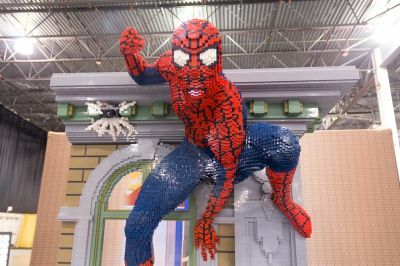 It features dozens of life-sized LEGO® models and displays, LEGO® building areas, the Big Brick Pile, race ramps and more, all covering more than three acres of space. The brick pile and displays were favorites for my family when we went three years ago. My kids have grown a lot since then, so I can’t wait to see what their favorites are now! The award-winning LEGO® KidsFest Texas returns to Houston’s NRG Center from Oct. 21 – 23, 2016. 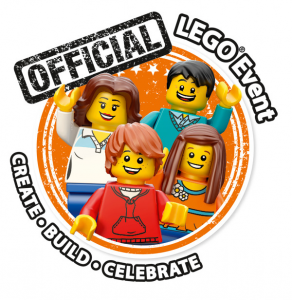 Once again, show-goers can enjoy the LEGO® Model Museum, Race Ramps, Creation Nation, Construction Zone, LEGO® DUPLO, LEGO® Retail store and LEGO® KidsFest Marketplace, the Big BrickPile, LEGO® Ninjago and more. Children of all ages and builders of all skills and levels are welcome. LEGO® KidsFest features dozens of new activities and popular favorites on the three-acre show floor. New activities for this year’s visit include LEGO® Mindstorms, LEGO® Movie, LEGO® Disney Princess, the Mixels, a LEGO® Superheroes area and more. NOTE: This event WILL sell out!!! I remember last time, I had friends who waited to purchase tickets and they missed out! The good news is that I have an opportunity for you to win LEGO® KidsFest Houston tickets for your family! One of MY followers will win 2 tickets to for the opening night session on Friday, Oct 21 2016 (4-8:30pm). I encourage you to LIKE and Follow LEGOKidsFest on Facebook, Twitter and/or Instagram for all the latest ticketing updates as this event has been selling out in prior cities. Must be 18 to enter, 1 entry per day allowed, random drawing by USFG! 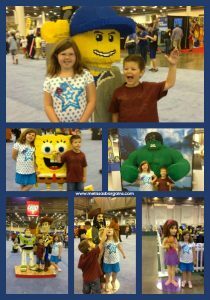 I hope to see you and your families at LEGO KidsFest Houston! We can’t wait! 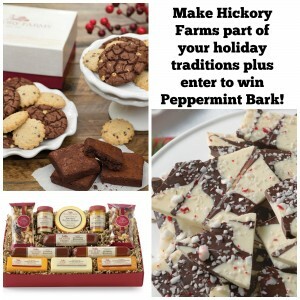 Make Hickory Farms part of your holiday traditions! This is a sponsored post on behalf of Hickory Farms. I received compensation including a product and gift card. All opinions are mine. Please refer to my disclosure policy for more information. According to a national survey, nearly half of American adults agree that the holiday shopping season officially starts when they see Hickory Farms arrive at their local mall. When I was growing up, I remember going to the Hickory Farms store at our local mall with my parents to pick out our holiday treats! We would always get Beef Summer Sausage and the Mini Melt Away Mints (which were my favorite!). Many Americans have a distinct memory of Hickory Farms at their holiday gatherings. Hickory Farms is very proud to be a part of those nostalgic moments and continues to focus on and celebrate its long heritage of tradition and authentic holiday memories. Hickory Farms is America’s most famous holiday food gift brand, enjoyed by holiday shoppers seeking the perfect gifts for family and friends for over 60 years. Now that I have a family of my own, we have continued to make Hickory Farms a part of our holiday traditions! We have fondue every year on New Year’s Eve and always have the Beef Summer Sausage as a part of that! I was not surprised at all to hear that Hickory Farms Signature Summer Sausage has been awarded the Masters of Taste Gold Medal for Superior Taste for having the #1 Summer Sausage in America. Hickory Farms products make great gifts for teachers, friends, and neighbors. They’re perfect for holiday gatherings, too! They offer a wide variety of food gifts that are perfect for any budget and for everyone on your list this year. Hickory Farms’ food gifts are available at Holiday Market locations nationwide, on hickoryfarms.com and at leading retailers. I love that on their site, they make it so easy to find the perfect gift. You can shop by price, browse their specials, or look at specific food items such as sausage and cheese or fruit and nuts. This year, I received this Hickory Farms White & Dark Chocolate Peppermint Bark from Hickory Farms to share with my family. This product is brand new and it did not last long at all! It’s a mix of white chocolate, dark chocolate that is hand swirled with mint and crushed candy canes. How can you go wrong with those ingredients? I enjoyed it by itself. My kids tried it in their hot chocolate and said it was delicious. It comes packaged in a box with a ribbon, so it would make a great gift for neighbors, too! 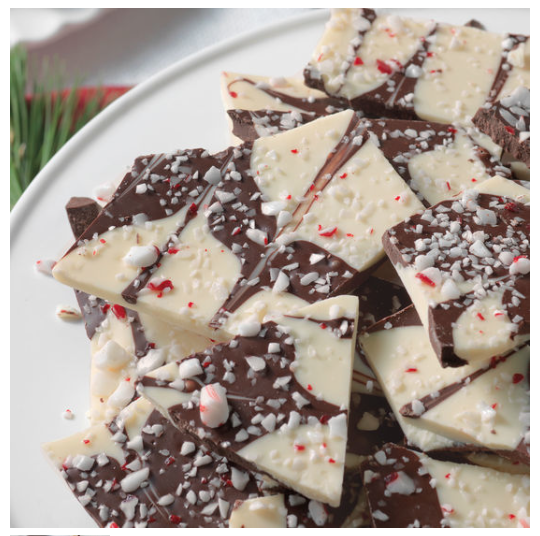 Now YOU have a chance to try this Hickory Farms Peppermint Bark, too! 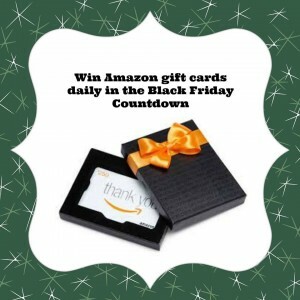 Win Amazon Gift Cards in the Countdown to Black Friday Giveaway! Black Friday is just a little over two weeks away and Christmas is just over six weeks away! I want to make sure you’re staying connected and finding all of the BEST deals for your family’s gifts this year! I also want to reward you for being loyal readers, so I’m giving away Amazon gift cards EVERY day through Black Friday! To enter to win, all you have to do is interact on my Facebook page by liking, commenting on, and sharing (optional) posts! 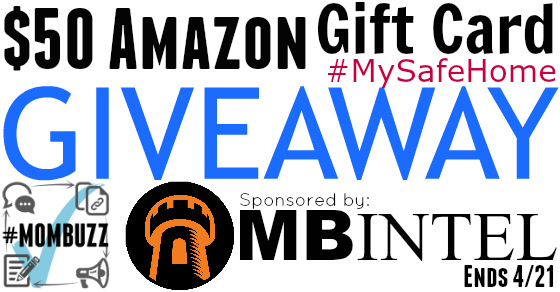 I will be on the look-out for the most active readers and rewarding them with Amazon gift cards each day! UPDATE: The winner for 11/10 is Lisa Gorman! Congrats! 1. 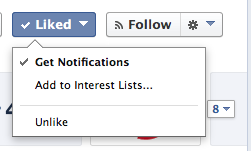 Hover over the “like” button and unlike the page. 3. Click on “See First” to make sure you are seeing all of my posts! This giveaway is in no way sponsored, endorsed, administered by, or associated with Facebook. 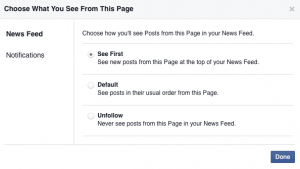 When entering, participants release and indemnify Facebook from all liability. Prizes are sponsored by Melissa’s Bargains. Winner will need to claim prize within 24 hours of the giveaway ending. Information collected is not collected by Facebook. 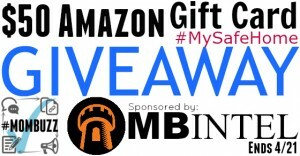 By entering, you are consenting for me to use your information to notify you that you are a winner. Your name and information will be displayed on my Facebook page and website. Open to residents of the US and Canada. Are you prepared for anything? What about a flood? Tornado? or even a home invasion? Do you have the necessary supplies to keep your family safe? I always thought we were pretty well prepared for all of those things until I completed my FREE Home Risk Analysis a few weeks ago and now I know that there are several areas that need improvement! *This is a sponsored post on behalf of Hickory Farms and Mom Trends. I received a free sample of the product for the purpose of this review and to facilitate a giveaway. The opinions expressed herein are those of the author and are not indicative of the opinions of Hickory Farms. For the past three years, I have had the opportunity to participate in a Hickory Farms review and giveaway during the holidays! This is something I look forward to EVERY year and I was thrilled when I was asked to participate again! For more than 60 years Hickory Farms gifts have been a classic holiday tradition that brings family and friends together. As a child, I can remember visiting the Hickory Farms kiosk at our local mall during the holidays to get cheese balls, beef sticks, and Melt Away Mints for our annual New Year’s Eve gathering. We have continued this tradition in our family and we love to serve the Hickory Farms summer sausage with cheese fondue on New Year’s Eve. Many Americans have a distinct memory of Hickory Farms at their holiday gatherings and Hickory Farms is very proud to be a part of those nostalgic moments and continues to focus on and celebrate its long heritage of tradition and authentic holiday memories. Hickory Farms not only embraces passing down traditions through generations of families, but also creating new traditions and sharing them with loved ones. This year, my family received the Beef & Turkey Hickory Sampler pictured above! I actually had to hide it when it first arrived because I knew that it would be gone before I had a chance to review it if my family got ahold of it! The Gouda mixed with the summer sausage on crackers is so, so GOOD! This is a perfect gift for neighbors and is great for family gatherings, too! Start a Hickory Farms tradition with YOUR family and enter to win a Beef & Turkey Hickory Sampler!